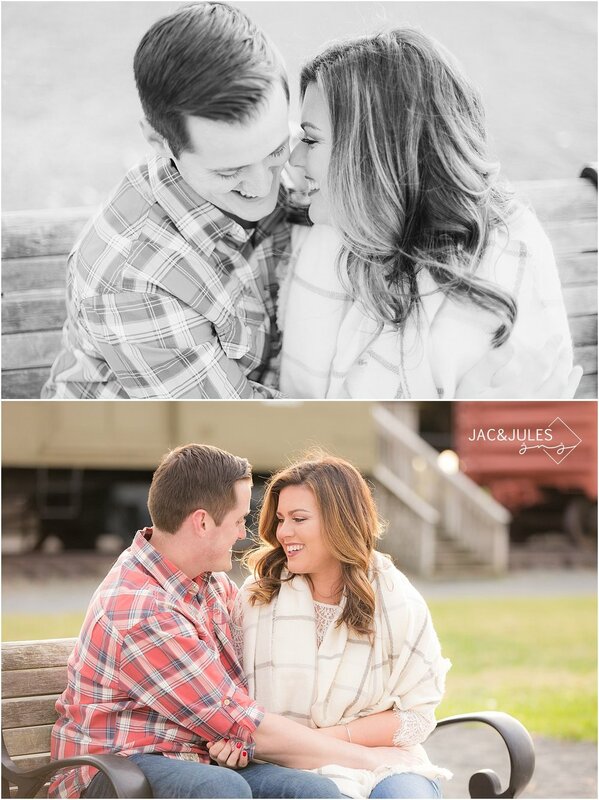 Kerry and Matt's engagement session at Liberty State Park was so much fun! I love love love this first outfit. The fall colors went perfect with the old train! She accessorized with the perfect scarf, too! 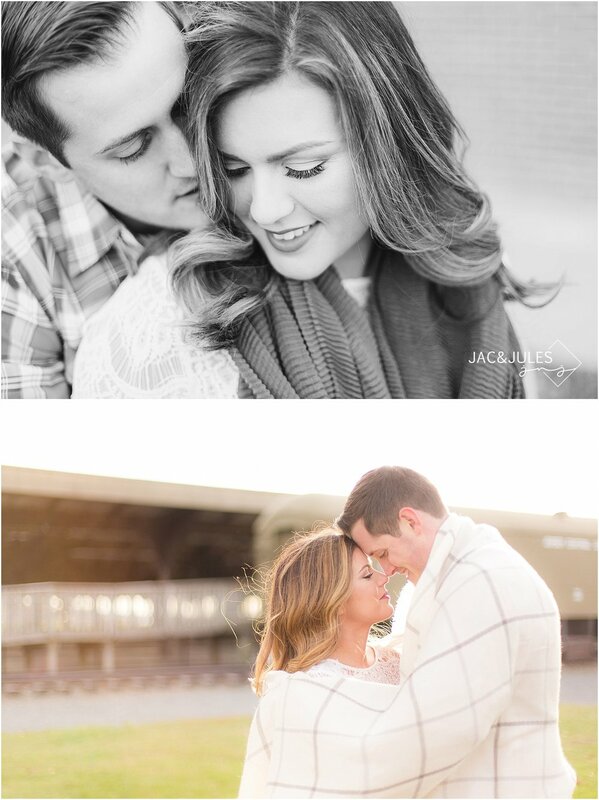 The light was just gorgeous throughout their session, but especially when they bundled each other up to keep warm (no really, it was freezing!) 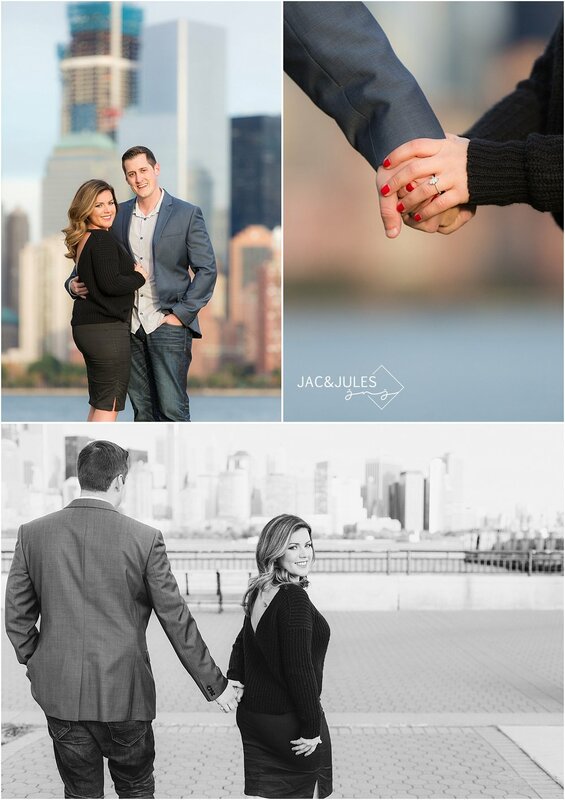 The second outfit was a little more formal and was the perfect choice for the photos with the skyline. We ended the session with a colorful sunset, too! Got the best of everything Liberty State Park has to offer! 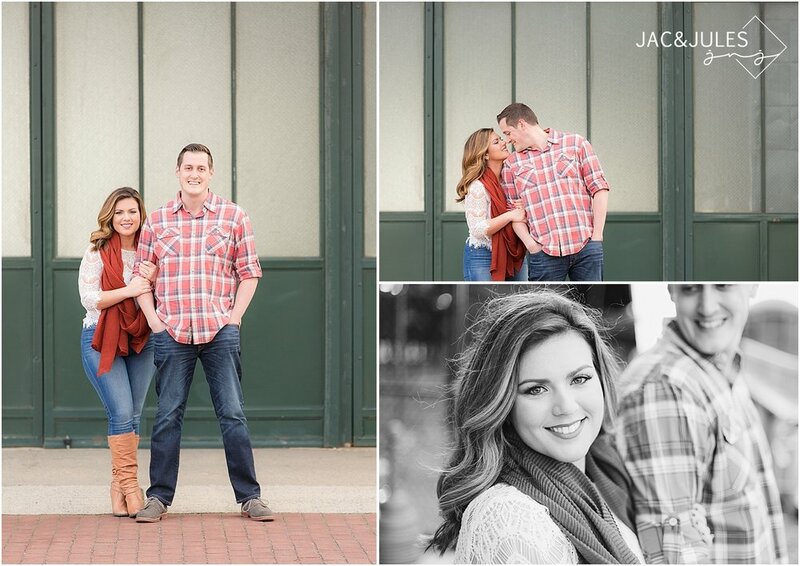 Check out their super fun engagement photos below! Do you have a favorite?! Let us know in the comments and show Kerry and Matt some love!